Once you’ve gone through all the effort to spring clean don’t you wish your home would stay that clean? It can. 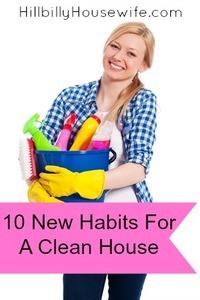 With a few new habits you can keep your home sparkling clean. Much of the mess in your home is likely self inflicted. Do you set things down with a quiet promise that you’ll get to them later? Instead of adding extra work for yourself or letting the clutter accumulate, put things where they belong the first time. It seems like such a simple thing but making your bed can set the standard for the day. And you don’t have to set hospital corners when you make your bed. You can simply straighten the covers and fluff the pillows. How many times do you set things down and leave them for later? For example, when you’re making something in the kitchen do you leave the mess to clean up later? Or do you clean as you go? Cleaning as you go helps you control mess. It also means you don’t have an overwhelming clean up job when you’re done. Many organization experts recommend a clutter coral. This is generally a box where items can be placed. Then, at the end of the day, you put those items where they belong. 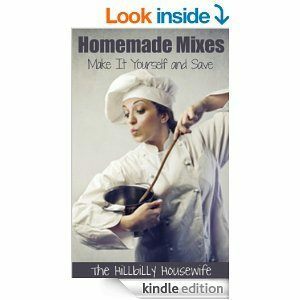 If you live with others or have a family this is a good job for them to tackle. Let your children and spouse put things away before they go to bed. Generally there is a room in the house where clutter gathers. Spend ten minutes at the beginning or end of each day and pick up. Make it part of your day and you can wake up knowing your home is clean and clutter free. Make your family responsible for tasks and rooms. They can spend ten minutes each night straightening a room. It’s a fast way to make sure your home stays clean and clutter free. Give each room in your home a day for cleaning. While straightening is done every day, the deep cleaning shouldn’t need more than one time a week. And if you’re enlisting help from your family then they can each tackle a room. Find or buy a tote bag or bin for each room. Place the cleaners for that room in the tote. Then tuck the tote away. For example, your kitchen cleaners can be stored under your sink. Your bathroom cleaners can be stored in your linen closet and so on. Make cleaning and straightening part of your routine. Each night for example, load and run the dishwasher. Hand wash any dishes. Set the coffee pot to brew ten minutes before you wake and then go to bed. It’ll only take you ten to fifteen minutes each night and it can become part of your bedtime routine. You’ll have the joy of waking each day to a fresh pot of coffee and a clean kitchen. The less stuff you have, the less you have to clean. Look around your home and see where you can simplify your life. These ten habits can change the way you clean your home. They save you energy. They eliminate the stress of a messy home and they help you include the entire family in the household responsibilities. Most importantly, they help you spend less time cleaning and more time on life’s more important tasks and joys.